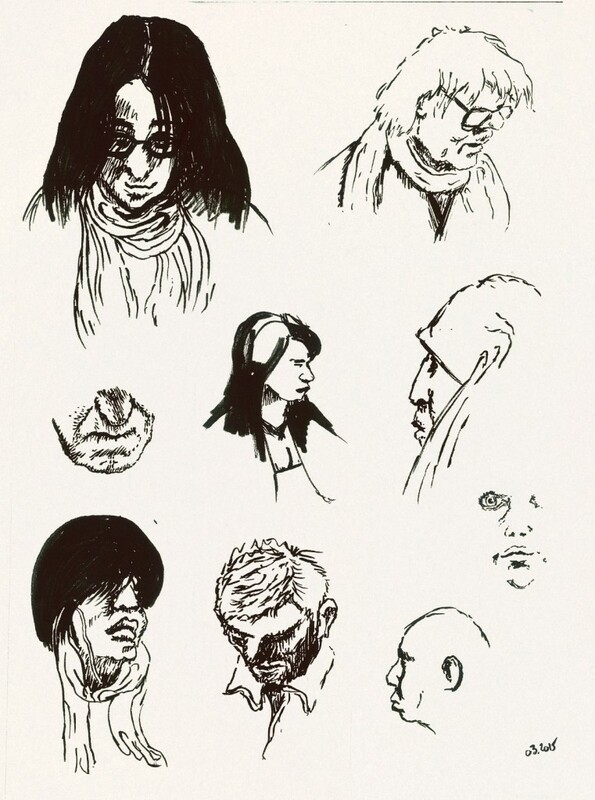 I’ve been trying to draw people in the Paris subway for several weeks now. Still quite dull, but at least they look more and more like human beings. I used a Kuretake Fudegokochi pen which I originally bought for calligraphy, but is now my favourite tool for drawing. This entry was posted in drawing by sam. Bookmark the permalink.